It has always been CLM Bakery System’s aim to find a meeting point between the quality of Italian food production and modern industrial technology. By constantly focusing on this aim, CLM BAKERY SYSTEM can offer modern, innovative solutions able to combine efficient cost and process management with the quality of tradition. 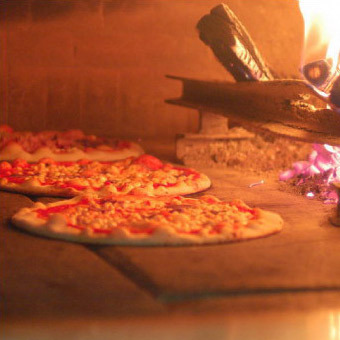 Pizza is imitated all over the world, but really traditional pizza is only Italian! CLM BAKERY SYSTEM will enable you to produce industrial quantities of pizza with a handmade flavour, with a complete line of equipment to cover all the processing stages. From the proofers using dough balls to the crossing lamination, and from the hot pressing system to the tomato sauce dispenser, the pizza starts to take shape in a procedure that has been designed down to the tiniest detail. The baking is then carried out using the innovative CLM BAKERY SYSTEM stone ovens, fired by gas or wood, for an unbeatable final result, thanks to the innovative patented embracing heat system. In this section of the website you can find a description of all this equipment; do not hesitate to contact us to ask for more details about it. CLM BAKERY SYSTEM Libera proofers. Quick and easy to clean: The CLM BAKERY SYSTEM Libera proofers can be fully emptied of the trays and then cleaned very easily. This also applies to the actual trays which, being totally independent from the structure of the cell, are easier to clean.